So you’re a competent kiter maybe not Aaron Hadlow yet but you’re safe, you’ve had lessons – Kite surfing lessons, Kite buggy tuition or Stand up paddle board or other courses. 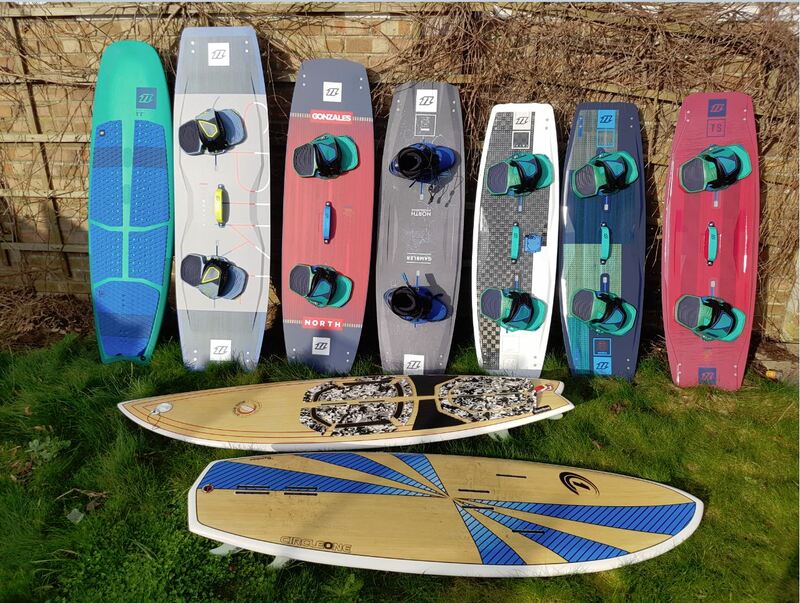 But you don’t want to invest in equipment right now, you fancy trying out some different equipment, or maybe your on holiday in Essex and after some Essex based kitesurfing tuition, kiteboarding lessons, kite buggying or stand up paddle board hire. Whatever the reason we have the equipment to suit your needs. We only offer supervised hire unless you are a regular client of PUSH Kiting. To have supervised hire of equipment you must hold a current personal kiteboarding insurance certificate, you can get this at the British Kitesports association page from £28/year. At PUSH Kiting School we have a full range of the current year’s equipment, we use – Duotone, Ion, MBS, and Flexifoil. Hydrofoil “foil” kiteboards – we carry two different Duotone foil boards to choose from. LEI Kitesurfing kites from 3 – 18m – these are all Duotone and we have different ranges depending on whether you are a beginner or advanced. Please bring a recognized form of ID and bank card when hiring; you are liable for any damage to the equipment and will be charged for breakages or loss of equipment. What does supervised mean? – An instructor will be riding with you or will be close by they will be there if you need some help and are having trouble while out. However, this is NOT a lesson if you need help with technique or how to jump etc see our lesson page. KITE SURFING – Each package includes water kite, board, bar & lines, leash, harness, wetsuit, helmet and buoyancy aid. The prices are per hour and we have a minimum of 3 hrs hire time. KITE LANDBOARDING/BUGGYING – Each package includes fixed power foil kite, landboard/buggy, bar & lines, helmet. n.b. Resale value of kites and boards is largely impacted when any damage is introduced and we make sure we have current years stock where possible so we sell gear each season, any self-launching resulting in damage to kites or beach riding on the boards is a common way to cause damage to the equipment and end up with an extra charge, any damage to equipment will be charged as it will financially impact our business. Time starts the moment you collect equipment, time ends the moment it is returned. The equipment will be inspected on return.